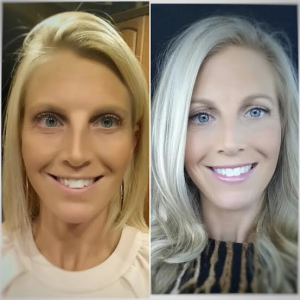 Beautiful before & after Invisalign case for our Sacramento beauty! If you have ever been interested in straightening your teeth but did not want to wear traditional wires & brackets, Invisalign could possibly be for you. And now is a great time to schedule a complimentary consultation with Dr. Friedman & MOD Squad Dental as they are having an incredible offer now until September on Invisalign, Invisalign Teen, & Invisalign Express as a Preferred Invisalign Provider. ***Also take note that Invisalign results WILL NOT be the same at every office. Here at MOD Squad Dental, your individual Invisalign results are determined by Dr. Friedman & his diagnosis after your 3-D Cad Cam Scan of your mouth. This advanced technology allows Dr. Freidman to determine the best option for when & how he writes your prescription to Invisalign, & ultimately your end smile & bite results. This compared to other offices that still take putty impressions for an Invisalign case falls short of your end result & precision of diagnosis & treatment plan. Mention this post & receive an additional $1000 off a full Invisalign case, & $350 off an Invisalign Express case. Call Jess or Julie today, 858-547-0070, to schedule your complimentary consultation. The schedule is limited & we are now scheduling into August.